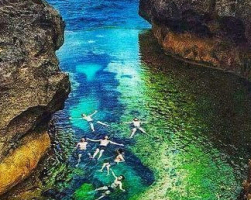 Nusa Penida is an island southeast of Indonesia's island Bali and a district of Klungkung Regency that includes the neighbouring small island of Nusa Lembongan. 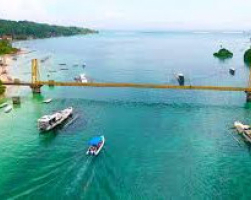 The Badung Strait separates the island and Bali. 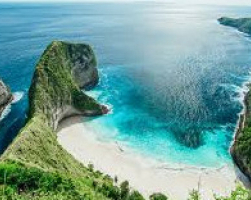 The interior of Nusa Penida is hilly with a maximum altitude of 524 metres. It is drier than the nearby island of Bali. 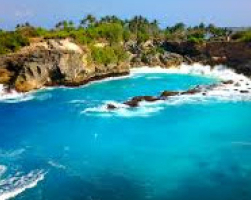 Lembongan Island is a small island on the south coast of Bali. The island is very beautiful and charming. 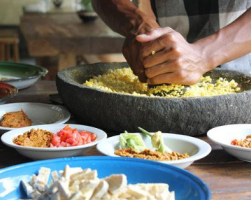 Lembongan island around 8km square in size and it is one of 3 neighboring islands, the other has larger Nusa Penida and Nusa Ceningan is the smallest, the distance of these islands are quite far from the island of Bali and can be achieved. Check in Hotel at around at 10am. Snorkeling 3 points ( Mangrove point, Wall point, GT point ). 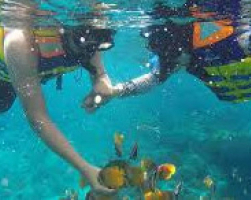 Snorkeling equipment: mask, snorkel, fin & life jacket. Set Lunch and soft drink of Juice fresh fruit (Indonesian set Menu : Nasi Goreng, Mie Goreng, Club Sandwich, Chicken Curry). 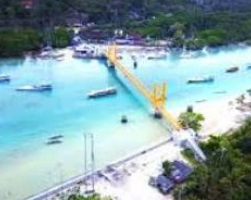 Lembongan Island tour, visits: Dream Beach, Devil’s Tear & Panorama point. Tea Time ( Cake, Tea or Coffee ). Set Dinner at Panorama restaurant. All entrance fees & ticket. One night room at hotel in Lembongan. Breakfast included provide by hotel. Boat transfer to Penida island (pick up time around 7.00-7.30). 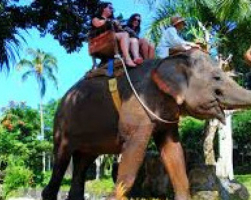 Penida tour, visits: Kelingking Bay, Broken Bay, Angel’s Billabong & Crystal Bay. 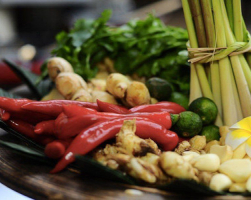 Lunch at Crystal bay (Indonesian Set Menu Food). 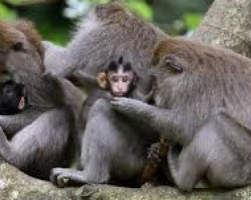 Return by Fast boat shuttle from Penida to Lembongan depart time 15.00. Return by Fast boat from Lembongan-Sanur. 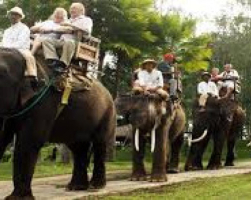 Return transfer to Bali Hotel/Airport. 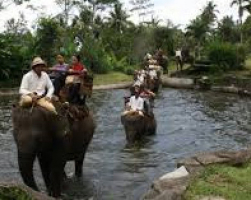 Bali Hotel area included: Sanur, Kuta, Nusa Dua area & Central of Ubud. 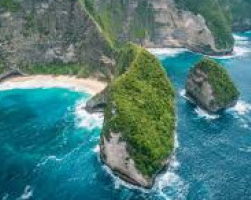 Twin island Nusa Penida Overnight Activities is solution for you who want to fight the 2 islands, the island is Nusa Lembongan and Nusa Penida. 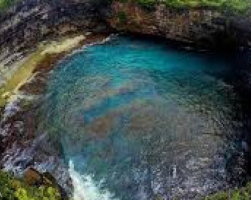 The first day will focus on Nusa Lembongan and the second day will focus on Nusa Penida, where you will be the beautiful and natural island of Penida. 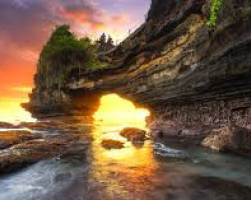 And nature attraction Penida that amaze your eyes. 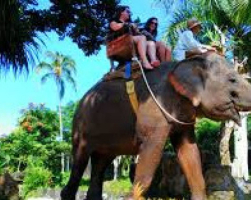 Elephant Ride,Ubud and Tanah Lot Tour is one of the most popular Bali Combination Tours that we created to enjoy 30 minutes elephant riding combine with visiting Ubud Centrasl,Monkey Forest at Sangeh and Sunset Tample of Tanah Lot. 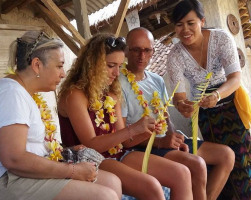 This tour is special for tourist who stay in Bali and they want have short tour outside the island, especially who like to climb in most beautiful active volcano. 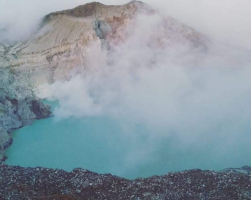 Mount ijen is one of the most beautiful volcano in Indonesia. 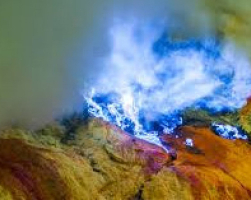 The most special think in mount Ijen is the acid crater lake and blue flames phenomenal. 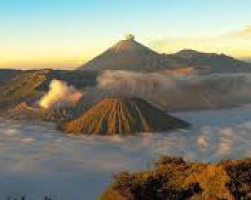 Java is the land of volcanoes. 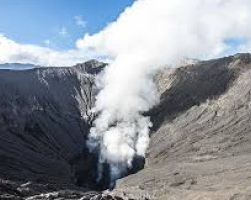 There are 45 active volcanoes throughout Java Island, spread from the west to the east excluding the small calderas. 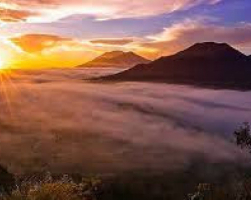 This trip offers you the opportunity to experience the great Mount Bromo (2329 m above sea level), the most visited volcano in East Java.